Packaging campaigns are in for the win! Imagine you’re strolling through the store on an oh-so typical day and all of a sudden, BAM! You’re stopped in your tracks by one of your favorite brands decked out in a fun, celebratory label. Now that it has caught your attention, you’re probably going to be more inclined to stop and take a longer look, or perhaps even make a guilt-free impulsive purchase. Either way, the overall experience brought a little bit of joy to your typical, everyday life. Packaging campaigns have found great success by taking the simple idea of dressing up their product in a different way. This seems to work especially well when sales are on the decline. This type of campaign has been a response to a drop in sales for Diet Coke and has been successful for companies like MillerCoors. Inc.com explains, when MillerCoors faced a decline in sales, they released the retro Miller Lite can that actually bumped up sales by 5%. Cha-Ching. 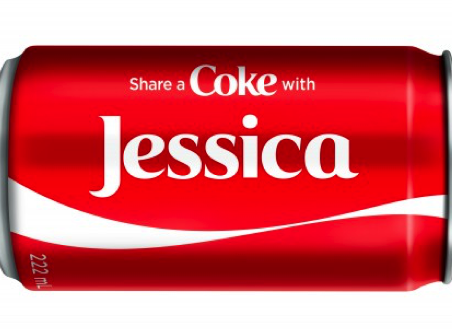 Whether the shift in design is as simple as printing a variety of names on a Coke can, or as big as releasing over a million different designs on Diet Coke bottles, there’s plenty of room to entice users with a simple makeover! The best part? Consumers won’t need to make a brand change in order to get this “thrill” because now, they have a reason to remain #loyal.